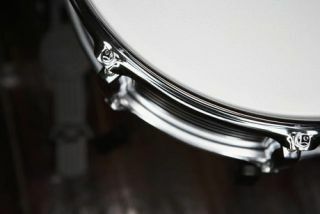 So, you've shelled out your hard-earned cash on a new set-up (having consulted the Rhythm Buyer's Guide, of course). You've then spent all month learning tricks and beats from the Rhythm CD. But there's a problem. No matter what you try you can't get a decent sound out of your new gear. Well, help is at hand. Rhythm, and our sister website MusicRadar.com, is a treasure trove of tips when it comes to tuning, dampening and just about everything else that can help you get the best possible sounds. You can check out MusicRadar.com's drum tuition section here, where you'll also find articles on the best ways to look after your kit and tips on stick tricks and picking the right set-up for your needs.